THE X FACTOR: EXTRA After Live Results Show! 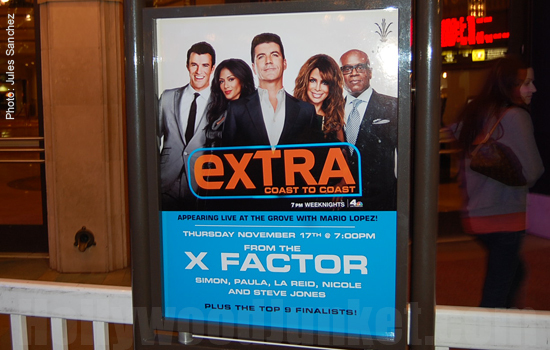 After last night’s “The X Factor” live results show on FOX, judges and contestants attended an event on EXTRA with Mario Lopez at The Grove outdoor mall in West Hollywood, Ca. Our reporter, Jules Sanchez was there to capture photos! EXTRA and THE X FACTOR event at The Grove. 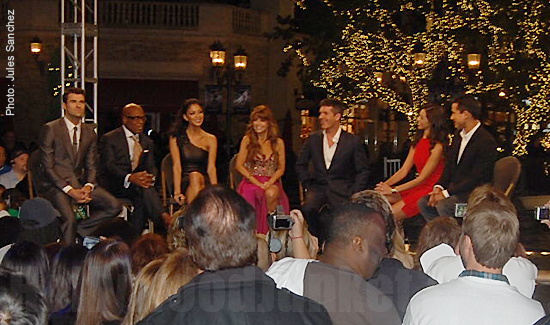 THE X FACTOR Judges at The Grove on EXTRA. Paula Abdul at EXTRA last night. Rachel Crow at The Grove EXTRA event last night. Nicole Scherzinger at EXTRA last night. H.J. 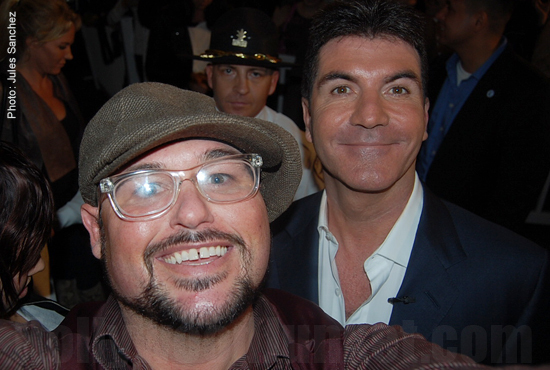 reporter Jules Sanchez with Simon Cowell at EXTRA. X FACTOR host Steve Jones arrives to EXTRA at The Grove.